The Elite 98B U15 boys added another title and trophy to their collection this past weekend in Redwood City in the Juventus Northern California Spring Showcase. The tournament is one of the few Elite Tournaments in California, and draws in competition from around the state and beyond. The Elite boys competed in the highest division (Premier), along with some of the states best teams: Juventus (NorCal #1), Stockton Monarcas (NorCal #2), PAC Impact (NorCal #3), PAC Indios (NorCal #6), Boise Nationals (Idaho #1). Ajax was grouped with PAC Indios, as well as Atheltico Santa Rosa. All teams traded wins and losses, and found a three way tie with all teams going away with 1 win and 1 loss. A tie breaker was used to decide the group champ, and the Elite came away with the decision due to its shutout victory over PAC Indios. The Elite boys were awarded a semifinal showdown with Juventus of Redwood City (Norcal #2, and Nationally Ranked #4). Both teams showed heart, determination, immense skills, and a tru desire to win. The game went back and forth, with great offense and defense shown by both teams. The Elite boys struck first with a brilliant finish with 10 minutes left to go in regulation play. Juventus drew even five minutes later. Regulation play ended with a 1-1 draw. Overtime saw that same determination, if not more so. The first 5 minute saw another scoreless draw, but the fireworks were just moments away. The Elite boys came out with a roar. A developed possession game developed in the defensive third, ended with a scoring opportunity just 2 minutes into the 2OT period. A well developed attack down the left flank produced a driven ball across the six, and another remarkable finish far post. Ajax 2, Juventus 1, and a place in the Championship match later Sunday afternoon. This was the best game of the season so far, and was worthy of being a championship match in any tournament. Late Sunday afternoon, had the title match between Ajax and Real SoCal. Both teams came out ready to play. Excellent play on both sides of the ball, had both squads tied at zero at halftime. Second half saw nothing different, but with a little more drama. Elite saw a second yellow with 15 minutes to go, resulting in playing a man down for the rest of the match. Not losing perspective or giving up on team concept, the Ajax boys held there own and onto a 0-0 tie after regulation play. Both teams fought valiantly, but neither could find the net in either overtime period. The match came down to kicks from the mark. Ajax struck first and often, making the first three shots. Real missed two of their first three, but was able to convert the third. Elite’s fourth kicker put the game away with an uncontested shot. Victory!!!! 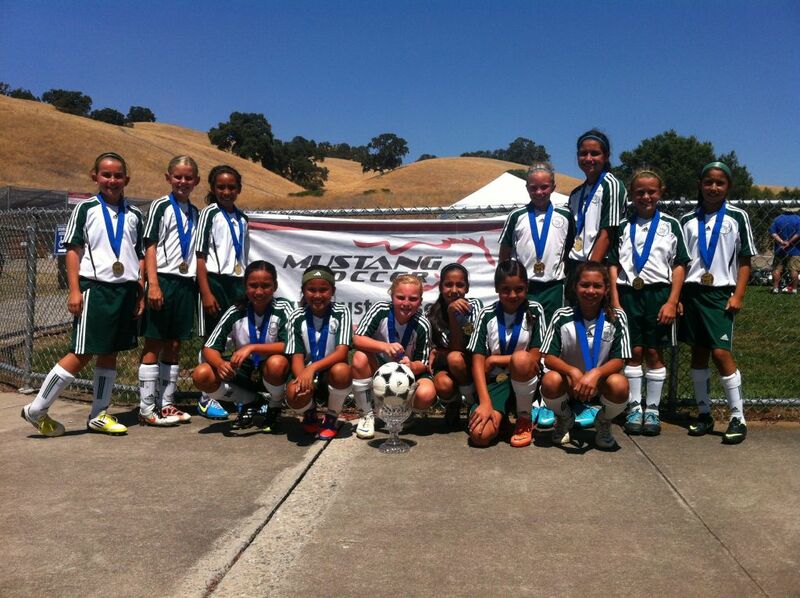 2013 Juventus Northern California Spring Showcase Champions. This makes the teams second championship in tournament play within the past month, and should have a tremendous impact on rankings in the days to come. After a hard fought victory the night before, Elite 98B advance to the semifinal match Sunday morning versus Las Vegas State Cup Semifinalist Vegas United. After a long 60 minutes, the game remained scoreless and forced a penalty kick shootout to decide the championship spot. Ajax came roaring out of the gate. Elite converted the first three shots from the mark, and terrific goalkeeping denied Vegas’ first two opportunities. After an Ajax miss and Vegas converting its next two, the 4th and final shot sealed the deal. A 4-2 victory in pks advanced the team to the championship Monday afternoon. Kinda funny. After 5 grueling games against teams from Wisconsin, Arizona, and Nevada, Ajax ended up playing its rival from Stockton...The Stockton Monarcas. Driving almost 500 miles to have a Northern CA showdown. It was great to see two teams from Northern CA represent so well. The was a match eagerly anticipated, as the Stockton side has had our number over the course of the season. However, they would soon see that our resolve, hardwork, and spirit would soon be their demise. A fired up Ajax side came out very aggresive. We pressed the attack, and defensive turned back each offensive opportunity. Both side are well familiar with each other’s style, but we decided long ago to stand fast in our philosophy and play our game. Play our game we did. Some beautiful defensive led to some beautiful transition play able the Elite were able to tally a goal in the first half, giving us a 1-0 lead going into half time. Upon restart our determination was none the weaker and were able to tally one more goal before the final whistle. Victory!!!! 2-0 win. Over the course of 3 days, the U15 Ajax boys scored 9 goals and allowed 0 goals to opponents. What does that mean? 2013 Las Vegas Mayors Cup International Showcase Champions!!! For the 2012-2013 season we have now won 4 Championship Titles in 6 Finals appearances. According to GotSoccer, we are now ranked 4th in Northern CA, 7th in the Region, and 13th Nationally. In front of a large crowd of family, friends and soccer fans Ajax United Elite 02G fulfilled their season goal of taking the NorCal State Championship! The season saw many highs and lows and like the final match required Elite 02G to dig deep and finish strong. Their quest to the State Cup started 4 years ago as Nineveh 02. Under then coach Tim Leonard, the girls played up the entire year. It was difficult to watch at times but the goal was development and that is what they did. In year two, the team realized they had something special. The girls had a great season winning many tournaments. Their state cup run ended in the semifinals and the girls eventually finished the season in 4th. Year three brought in Coach Aklesh Singh and the next step in the girls development. The girls spent the majority of the season ranked #2 in NorCal and that is where they finished in State Cup, losing a hard fought championship game in penalty kicks! The plan for year 4 was to train hard, play up against older more physical competition, finish strong and take home the State Cup. Highlights from the season were: Cal Cup Champions, Rage Showcase Champions, Mustang Stampede Champions, Las Vegas Mayors Cup Champions and a semi-final appearance at San Diego Surf Cup. The girls handled themselves well with all the travel, top level competition and often playing up an age group. As the team started to prepare for making a run at State Cup, the girls suffered a setback. Having a top player and team leader go down to injury would ruin many teams, but it made Elite 02G stronger. The girls were forced to step up and not rely on one player. Playing up in Fall League 11v11 often times with no substitutes, solidified the girl’s confidence. Going undefeated in the Region 6 Gold bracket, the girls showed teamwork and mental toughness. It all came down to finals weekend Saturday and Sunday. Elite 02G started off in the semi-final against season ending #9 Pleasanton Rage Orange. Pleasanton was the top seed after the first round of State Cup and #3 after the second round. Ajax came out on fire and seemed to hit every shot they took. They kept the pressure on through halftime and finished the game on top 7-1. The final against season ending #19 MVLA Blue was a bit unexpected. But MVLA turned out to be very "under" ranked and were very well coached. MVLA came out with nothing to lose, didn’t have any expectations to be in the finals and played inspired soccer. They surprised Elite 02G with their speed and aggressiveness. MVLA scored first on a beautiful cross and deflection that found the back of the net. Stunned, Ajax had to once again step up and fight back from deficit. The girls calmed down over the remainder of the first half but were unable to equalize. Soon after the start of the second half, Ajax was able to tie the game. Keeping the pressure on, Ajax was awarded a direct kick just outside the 18. The kick deflected off a MVLA player for the 2-1 lead. The keeper for MVLA was very aggressive often coming way out of the goal box to clear balls. One time she was unable to get back in time as an Ajax player took a chip shot over her head for the 3-1 lead. After a fourth goal took the pressure off the girls and their parents, MVLA cut the lead to 4-2 with 10 minutes remaining. As the minutes ticked away and the anticipation grew, MVLA was unable to answer back and the game ended with a score of 4-2... Ajax United Elite 02G NorCal State Champions!!! It has been a long journey for the girls of Elite 02G. They have worked hard, battled adversity and dug deep to achieve everything they set out to. Congratulations on your State Cup and representing your club so well in the process! Harvest a Cup is in Season! Fruits of labor was abundance as the Ajax Green ’01B captured another tournament win in Concord at the Heritage Harvest Cup. Ajax went undefeated beating La Morinda 6-4, Santa Cruz 4-3 and the boys went on to dominate the last game against Newark 10-0. It gave them the opportunity to play in the finals against Walnut Creek. After regulation they were tied. The championship would be determined by PK’s. It took only 3 PK’s for Ajax’s victory with our keeper coming up big while stopping 2 of Walnut Creek’s 4 attempts. Final score was 3-1. Great job fighting until the end!! Ajax United Elite 02G traveled down to Las Vegas to compete in the City of Las Vegas Mayor's Cup International Soccer Tournament. Teams from Russia, Canada, Mexico and several states across the USA came to participate in this prestigious tournament. 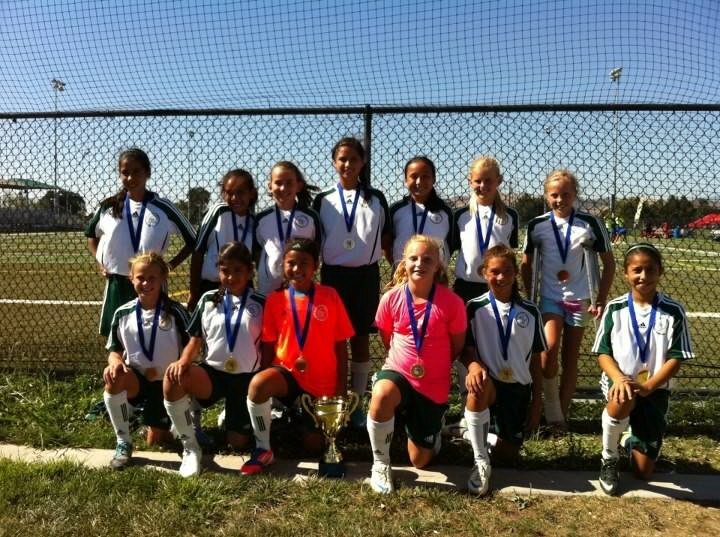 Four states were represented in Elite 02G's age group, Colorado, Arizona, Nevada and Cal North. Elite 02G started group play Saturday morning by taking on Players SC (Nevada). The fields were in excellent condition, the fast and large fields showcased Elite 02G's possession style of soccer and superior passing. Getting off to a strong start was important for the girls and they defeated Players SC 4-0. Saturday afternoon the ladies really hit their stride dominating Las Vegas Sports Academy 8-0. Sunday morning’s matchup against Nevada's top team Heat FC was another strong performance by Ajax. Going into halftime leading 1-0, the ladies stepped it up and put away Heat FC 5-0 by the end of regulation. The final was a matchup of NorCal #1 Elite 02G and Colorado's #1 team Real Colorado National 01/02. Elite 02G jumped out to a 2-0 lead within the first 10 minutes of the match. Real Colorado did not give up and gave everything they had to Ajax. The remaining 50 minutes saw Ajax and Colorado match up in speed and passing ability and each team showed composure under lots of pressure from both sides. With Real Colorado unable to answer back, Ajax United Elite 02G took the final 2-0 and the Las Vegas Mayor's Cup trophy. Congratulations Elite 02G, representing the club and NorCal in this international tournament! Last weekend, Ajax United Premier 02G completed their tournament season by traveling to Reno, NV to compete at Fall Friendship 2012 hosted by Sagebrush SC. Premier 02G went undefeated, but not unchallenged as Sagebrush Patriots 01/02 (host team) played Premier 02G very tough on Saturday and in the Final on Sunday. The girls showcased their passing game, sportsmanship, and their soccer skills. Once again, the girls drew large crowds and compliments from coaches, parents, and even from their opponents for their style of soccer. The girls brought back their 8th tournament title of the season. It’s been a great year for the Premier 02 girls, as they have developed into quality soccer players that play the game with pride, passion, and a genuine love for the game. Congratulations to our Ajax United Black 04B team for winning their first tournament at the MFC’s PortuGoal Cup 2012 and going undefeated. They won because of the hard work and dedication on the field and with the help and support of their friends and families. Great Job Boys!! Ajax United Premier 02G captured their 5th tournament championship of the season. Looking ahead for next year, Coach Luis wanted to expose the girls to the 11v11 game, so they competed at the Stanford Summer Classic and played up in the U12G division. Despite the noticeable size difference, the girls put on a solid display of possession, technical skill, and teamwork that drew large crowds to every one of their matches. Premier 02G did not allow a single goal all weekend long. They faced a very tough Livermore team in the final, which ended in a 0-0 score after regulation and 2 extra time periods. The girls kept their composure and after the initial 5 PKs, the teams proceed to sudden death. The girls had to go 9 PKs deep to bring home the trophy. Well done Premier 02G! Going into a game or tournament, parents, coaches and players look for 3 things: the team plays well, no one gets injured and hopefully the team wins. The girls of Elite 02G saw 2 of those 3 come true this weekend. Unfortunately during the first half of the first game against #3 Mustang Legends, Elite 02G lost their top player to injury that kept her away for the remainder of the weekend. After holding off Mustang 3-1, the girls were then up against #2 SRU Earthquakes. The game was a display of great defense by both teams, but Elite 02G were able to get one by and secure the 1-0 victory. Sunday morning the girls were able to take care of Cal Cougars in the semi-final 3-1 setting up a rematch vs SRU to decide the tournament. The final proved to be another defensive match; the girls went down 0-1 on a perfectly placed free kick from outside the 18. Elite 02G put the pressure on SRU taking several shots but not finding the mark. Keeping the pressure on SRU proved to be the key as a PK was awarded for a handball inside their box. On the kick, the keeper dove and made the correct decision, but the ball had the right pace and squeezed in between the post and the keepers outstretched arms. The game ended regulation in a 1-1 tie and was sent into (2) 5-minute overtime periods. In overtime, the girls finished their comeback by scoring the game winner and held on to win the 2012 Magic Cup! This was a total team effort that required all of the girls to step up and win one for their injured teammate. Congratulations Ajax United Elite 02G!!! The Elite 00B team played in the Dublin Shamrock Summer tournament this last weekend. They started off Saturday by playing the Impact Club from Brentwood and won 1-0 in a very close match. The second game Saturday afternoon was against Livermore Fusion Black and the score was 3-0 in the first half. They came back in the start of the second half and scored two. The boys then turned it on winning the game 7-2 and winning our bracket to get top seeding in the semi-finals Sunday. The semi-final game was against MVLA and they were tied at the end of regulation, 1-1 which made them go directly to kicks from the mark. They won the shootout 2-0 with the goal keeper making three great saves. Advancing to the finals they met Impact again. At the end of regulation it was 1-1 and then they went to two five minute overtime periods. The boys ended up winning 2-1 and brought home their first tournament champion trophy of the year. The coaching staff is very proud of the boys and how hard they played in the heat on the turf in Dublin. They have come a long way since the beginning of the season. Great job boys!! Less than a week from making the semi-finals of San Diego Surf Cup, the girls were at it again this time at the prestigious Mustang Stampede Tournament. The top 4 teams in NorCal were in attendance and to confirm their #1 ranking, Elite 02G had to go through all 3 to take the title. Ajax did not let the short week affect them in pool play out scoring their opponents 21-0 securing the top spot in the quarterfinals. Earning the top spot did not help much as the girls had to face #4 FC Elk Grove, a team that consistently plays their best against Elite 02G. Playing their 4th game in 100 or above degree heat, the girls were victorious 2-0! In the semi-final, Ajax met up with #3 Mustang Legends. The girls jumped out to a 2-0 lead in the first 5 minutes, but by halftime, Mustang had tied the game 2-2. Overcoming Legends speed and athleticism, Elite 02G went on to a 4-2 victory sending them into the championship to face NorCal #2 SRU Earthquakes. All the girls’ hard work and preparation paid off in the final. Ajax was able to maintain their energy and will to win and took the championship 2-1 over a talented SRU team! As the Olympics came to a close on this day, the girls got to take home gold medals of their own! Congratulations Ajax United Elite 02G! Soccer by the Bay Finalist (8/12/12) our Elite 01g team had four shut out games; 1-0 against Elk Grove orange, 3-0 against Central Valley Magic, 3-0 against San Carlos Explosion and 0-0 after regulation, 0-0 after overtime then a 3-4 loss in penalty kicks for the Championships against SBL Aftershocks. Great job ladies!